It was only a few weeks ago that we reviewed the AirTV Player, which aimed to integrate the features you would normally find in a streaming box like the Roku, Apple TV, or Amazon Fire TV with the ability to pull in over-the-air (OTA) broadcast channels. That turned out to be a problem, as it was trying to do much in a way that left us wanting more. The plainly named AirTV, on the other hand, focuses on doing just one thing, and it may end up being a better product for it. While the AirTV Player was an all-in-one unit that functioned as a streaming box — ostensibly your main streaming box — the AirTV is more of an accessory. 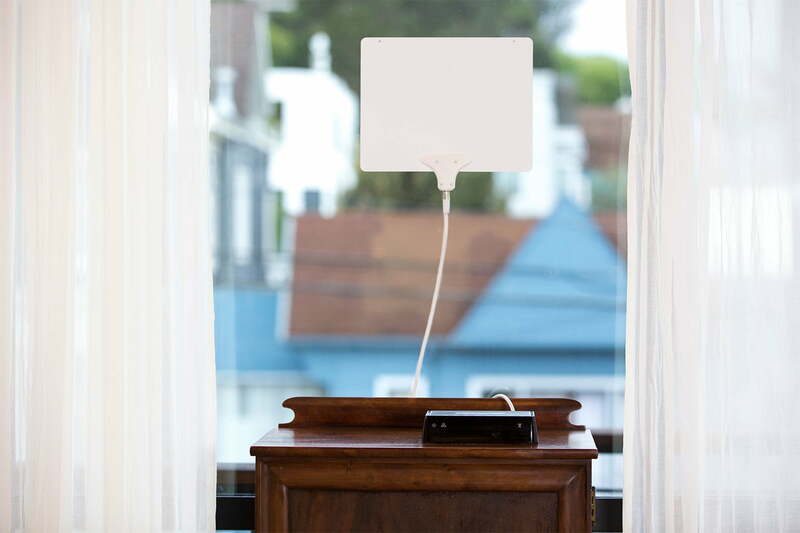 Plug an OTA antenna into the device, hook it up to your Wi-Fi, and it wirelessly streams OTA channels to various streaming boxes throughout your house. Not only does this let you use the streaming box you’re used to, but it also lets you put the antenna where it gets the best reception, not wherever your TV happens to be. Unfortunately, AirTV doesn’t support every streaming box out there. Apple TV users, for example, are out of luck. While apps may arrive on other platforms in the future, right now only Roku and Amazon Fire TV devices are supported for your TV, while iOS and Android apps let you watch local programming on your mobile device. AirTV is heavily integrated with Sling TV, which is a plus if you already use that service. If you don’t, a separate AirTV app is available, which also seems to currently be the only way you can use the device on a Roku platform. For instructions on how to set up the AirTV, see the company’s website. The AirTV is available now and retails for $120. You need an antenna, too, so be sure to check our list of the best OTA antennas and our guide to buying and installing them.